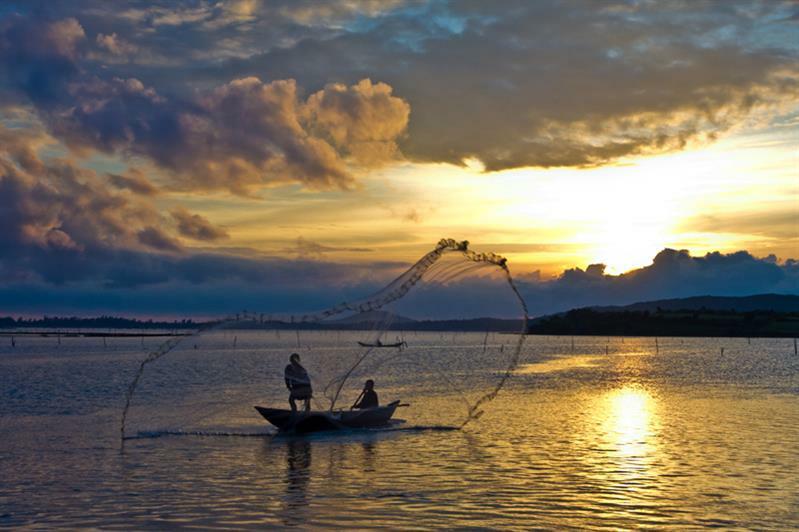 Phu Yen is another off the beaten track destination in Central Vietnam with pristine beaches, busy fisherman villages, glistening mini desserts, mouth-watering seafood and astounding natural landscapes. If you’re planning to travel to Phu Yen for a peaceful holiday, you certainly won’t be disappointed. While attractions in Phu Yen are a bit similar to those in Quy Nhon, Phu Yen is a lesser-known destination which has only become (a bit) more popular thanks to the Vietnamese film “I see yellow flowers on the green grass”. Nonetheless, many people still call this land a sleeping beauty, waiting for the Charming Prince to come and wake her up. Here is a Phu Yen travel guide crafted from local insights and our own experiences of travelling to Phu Yen in late August, 2016. If you’re looking for an off the beaten track destination in Vietnam, or already thinking of a trip to Phu Yen but not knowing much about the place, hopefully this blog post will help! Where is Phu Yen in Vietnam? Situated in the middle of Binh Dinh Province (Quy Nhon) and Khanh Hoa Province (Nha Trang), Phu Yen is a coastal province in the Central of Vietnam. Its capital is Tuy Hoa City. 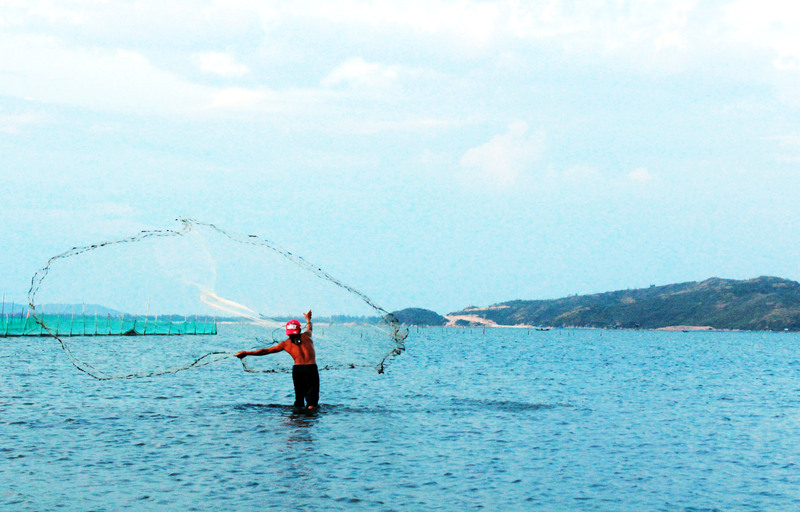 Phu Yen remained unpopular to tourists for a long time as the province did not invest much in promoting its tourism. After the launch of the movie “I see yellow flowers on the green grass”, which was shot in Phu Yen, the province’s picturesque landscapes started to capture attention from Vietnamese tourists. 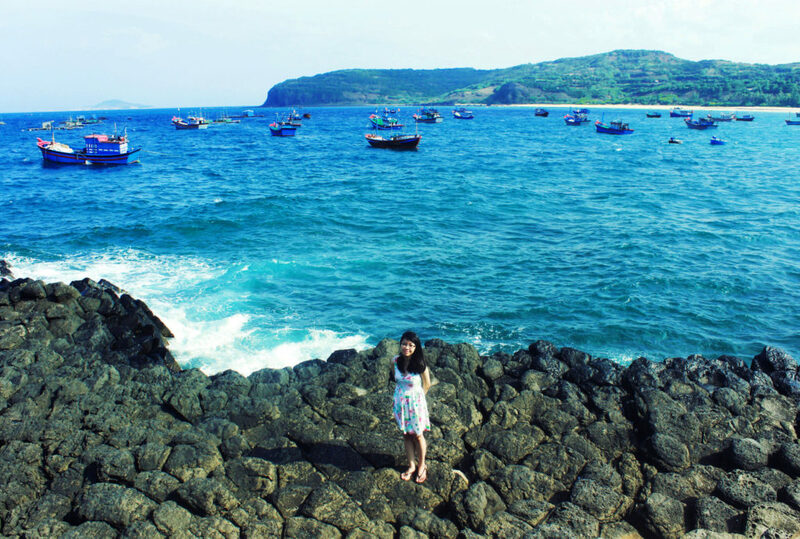 Since then, tourists have flocked there to discover other lesser-known attractions in Phu Yen. Travel to Phu Yen: Here are some of the most popular attractions in Phu Yen which you should consider visiting. 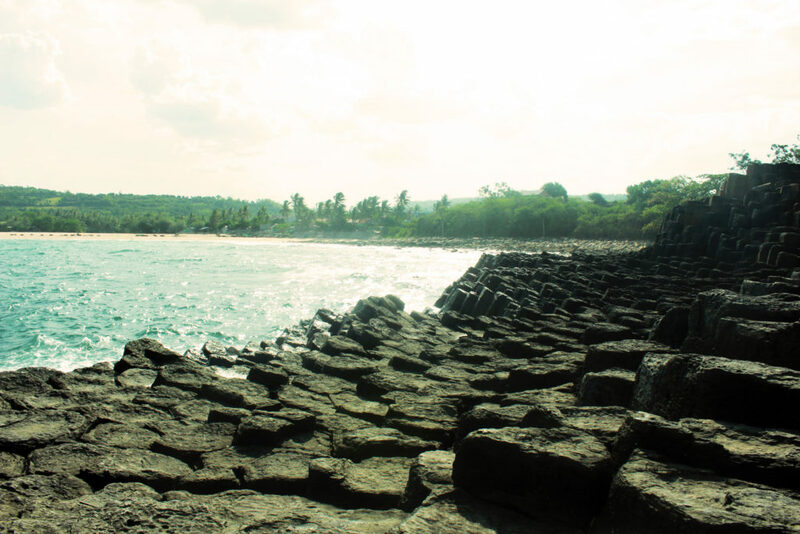 A small beach with the length of only 500 meters, Xep Beach is a quiet place suitable for those seeking peace and tranquility during their trip. There are black stones lining along the beach, adding some sharpness to the softness of the ocean. You can climb onto a hill nearby for a sweeping view of Xep Beach from above. This hill became popular to tourists as the place where the children from “I see yellow flowers on the green grass” flew kites. In real life, this place is a small meadow where the locals’ cows are herded. I did not see any yellow flower there though, unfortunately. How to get to Xep Beach? From Tuy Hoa city, drive around 12km north on the Highway 1 until you see the sign of Sao Viet Resort on the right. Turn right there. Tip: It was extremely hot when we visited Xep Beach at 10am. Nobody was on the beach and we felt like burning when standing on the hill overlooking the whole area. We later learned that locals only visited Xep Beach in the afternoon to avoid the burning heat from the sun. Since O Loan Lagoon is quite large, it’s not easy to identify the most picture-perfect corner to stop at. We rode along O Loan Lagoon under the heat of midday and stopped at a local seafood restaurant with a view of part of the lagoon. That view was not so impressive to be honest. Yet we had the chance to taste Blood Oyster: a must-try local cuisine. Tip: Our advice is to avoid visiting this lagoon around noon time. The heat’s really unbearable and you won’t see anything nice anyway. 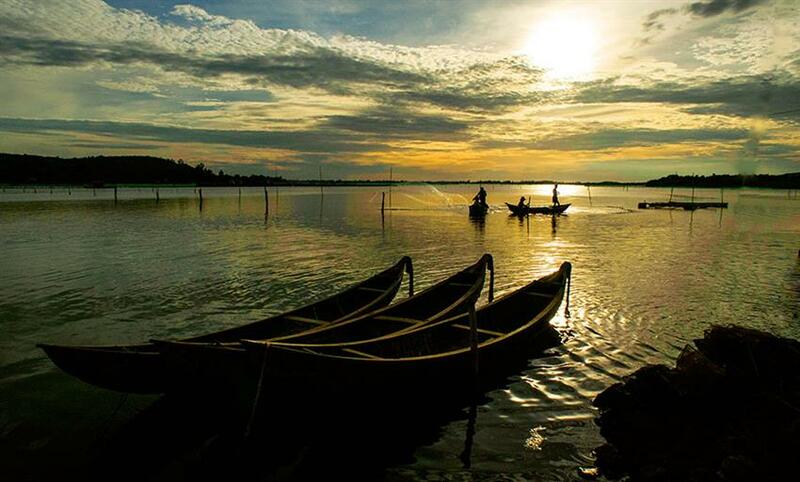 The best time of the day to visit O Loan Lagoon is either during dusk or dawn. 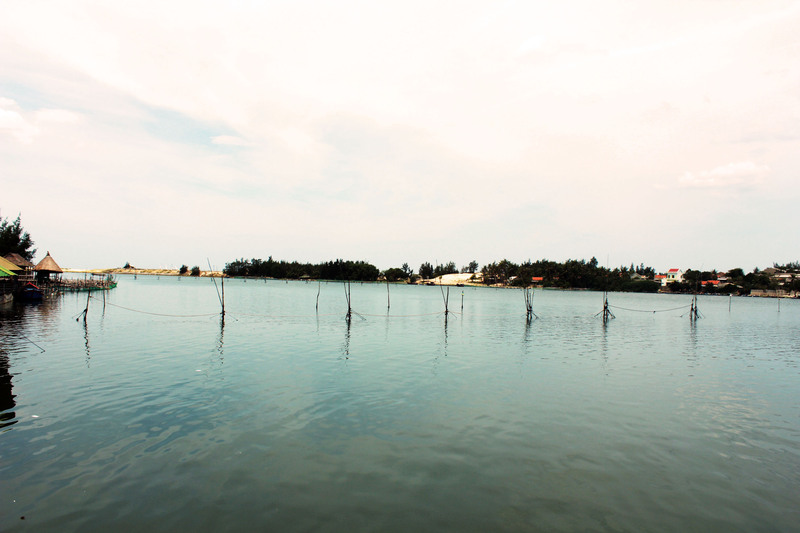 Here are photos taken by others who were more fortunate in capturing beautiful moments of O Loan Lagoon. 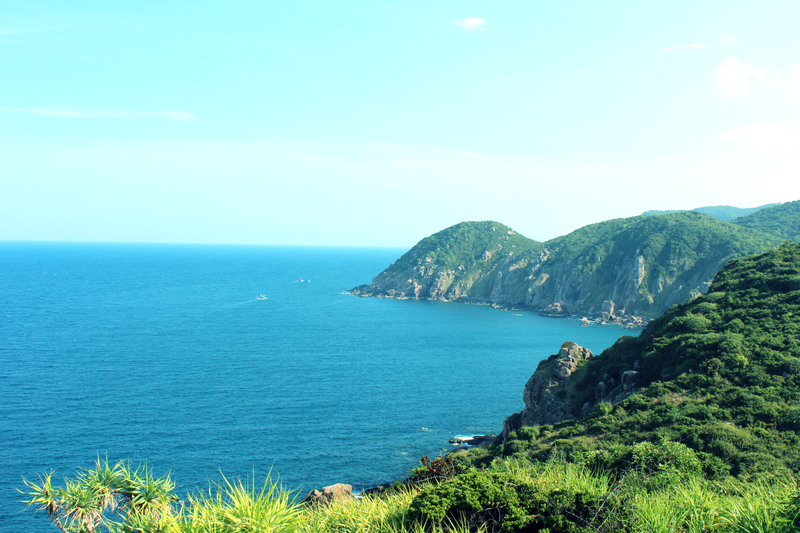 This landscape is the emblem of Phu Yen’s tourism. Nowhere in Vietnam can you find such a beautiful piece of art by nature: hundreds flat black stones are stacked on top of each other right next to the sea. It’s hard to believe this amazing structure was arranged totally by nature. 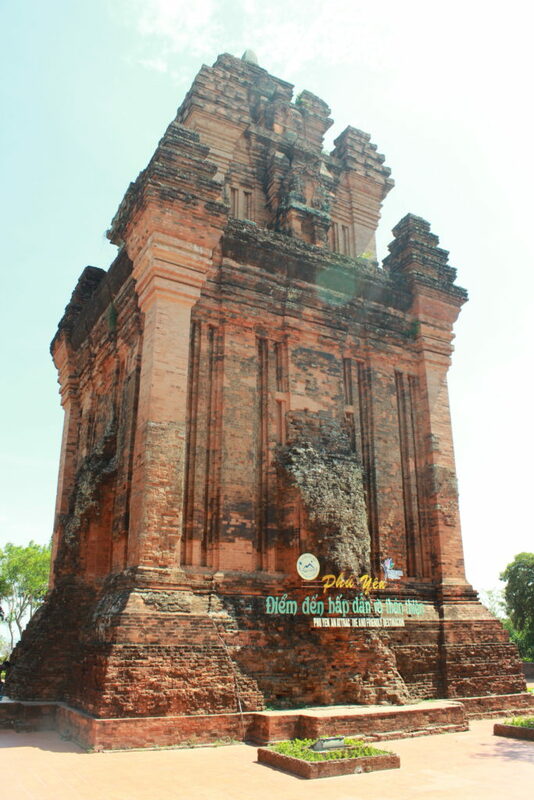 Located in Tuy Hoa City, Nhan Tower was built by the Cham people on top of the Nhan Mountain in the 12th century. Here you can have a beautiful view of Tuy Hoa city with the Da Rang River flowing by. Tip: You can ride motorbike / drive car directly to the top of Nhan Mountain. The mountain’s height is only around 60 meters. Theoretically speaking, Mui Dien Cape is the first location in Vietnam to receive sunlight for a new day. 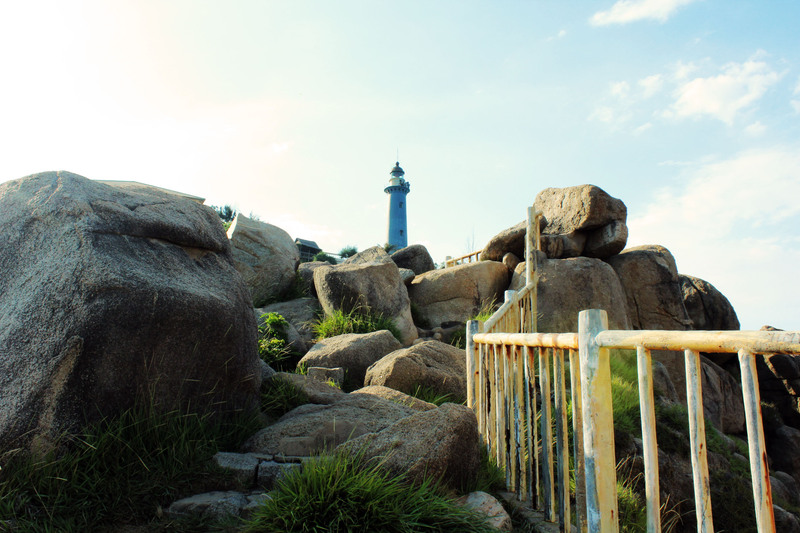 After climbing steps for around 30 minutes (slow pace), you will reach the foot of the Mui Dien Lighthouse. Climbing up to the lighthouse gives a stunning view of the sea below. 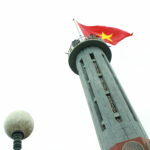 From the Lighthouse you can also climb out to Mui Dien. It’s a bit hard to climb out here so mind you step! 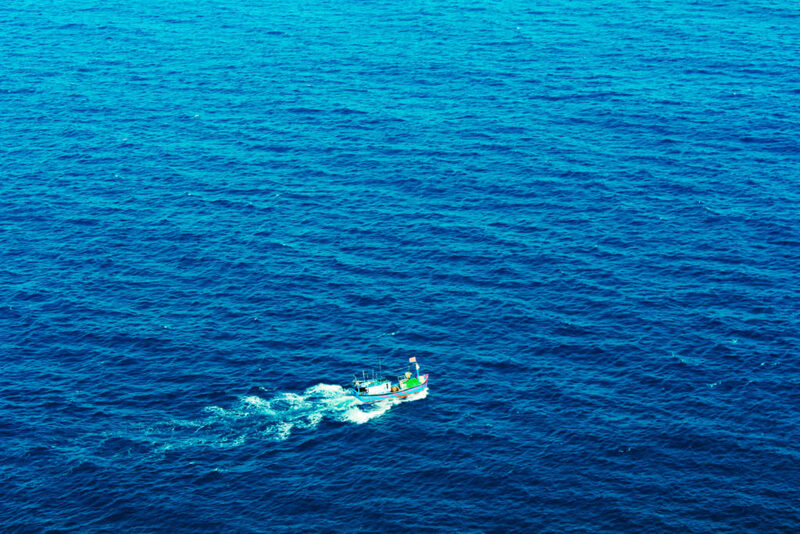 Tip: Interested in visiting the northernmost point of Vietnam’s territory as well? Check it out here. Bai Mon Beach can be accessed from the entrance to Mui Dien area as well. You need to pay an entrance fee and also a parking fee (very cheap!). There are shower rooms near the entrance for you to change before walking 200 meters to the beach. Now here’s the interesting part. As you walk to the beach from the entrance gate, you will first be able to see the Mui Dien Lighthouse on top of the hill on your right hand. 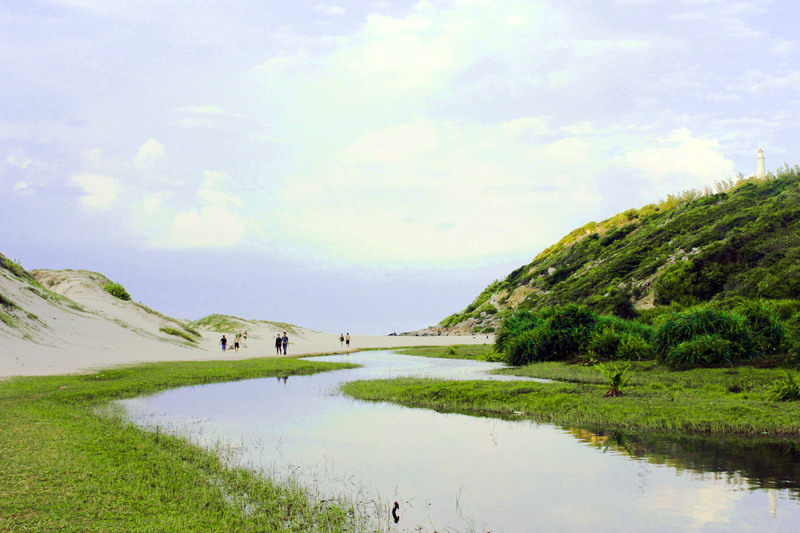 As you walk further, a gorgeous landscape of yellow sand dunes on the left, a clear channel in the middle and a green hill on the right will leave you stunned. You can even see fish swimming in this clear channel. And finally, the beach! Bai Mon Beach is nestled between 2 hills with the length of only 400 meters. Its clear water, smooth sand and amazing view will not disappoint you. Tip: The beach is most deserted at around 2-3pm, when the sun still shines quite brightly. Come here at this time and make the beach your own! 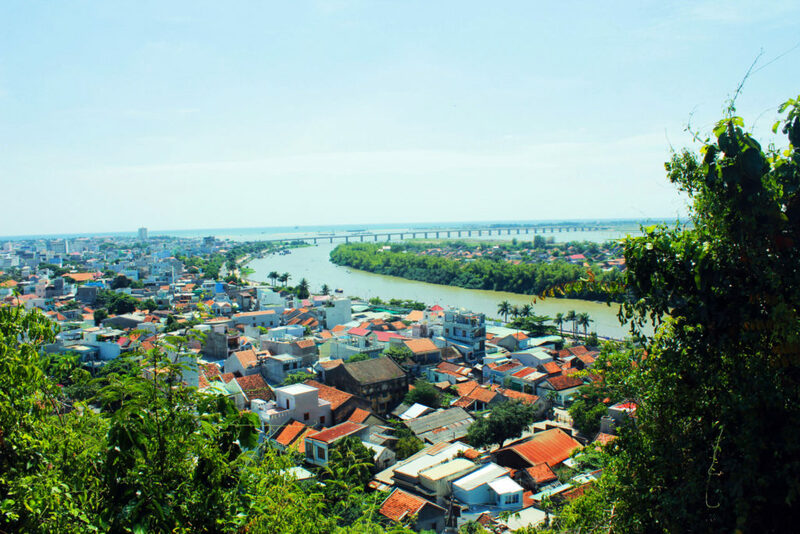 From Mui Dien and Bai Mon, continue driving forward and you will soon arrive at a lively fisherman village. The smell of fresh fish is unmistakable. This place is called Vung Ro – a small busy bay with lots of fishing activities going on. You can stop by at a local boat house to buy fresh seafood and taste them right there (the locals can help you cook). There are daily flights to Phu Yen from Hanoi and Ho Chi Minh City with Vietnam Airlines, Jetstar Airways and Vietjet Air. Flights to Phu Yen from these 2 cities take roughly an hour each. Tuy Hoa airport is situated quite close to the sea. That’s why when our plane started to land, for a moment I did think that we’d be landing on water. Our airplane was the only one landing at the scarily deserted Tuy Hoa Airport at that time. I could even see cows peacefully chewing grass only several meters from the landing area. Welcome to the countryside, mate! Since the airport is not so close to the city center where most hotels are, you need to take a taxi. The taxi ride from Tuy Hoa Airport to Sai Gon Phu Yen Hotel where we stayed cost 80 000 VND. Not so expensive! Alternatively, you can also travel to Phu Yen by train (around 12 hours) or bus (13 hours) from Hanoi and HCM. The night train with berths to Phu Yen is also available. It’s simply like travelling from Hanoi to Sapa. There are buses and trains connecting Phu Yen with other provinces, too. It takes around 11 – 13 hours to go by bus from HCM to Phu Yen. My favorite website for booking bus / coach tickets from HCM / Hanoi to Phu Yen is vexere.com. Here you can choose from a list of buses based on the departing time and duration. Then just pay online with your credit card. In Tuy Hoa, we rented a motorbike and basically rode from our hotel to all the attractions in Phu Yen. The price of renting motorbike in Tuy Hoa is 80 000 – 100 000 VND per bike per day. For scooters, it costs up to 160 000 VND per day. You will have to give your passport or driving license to the bike’s owner as a guarantee. For renting motorbike in Tuy Hoa, contact the following numbers: 09 3535 6893 or 0971 045 988. I have no idea if they speak English or not, so maybe you’ll want to ask the hotel’s receptionist to help you make a booking? They’ll bring their bike to your hotel within 15 minutes after the call. 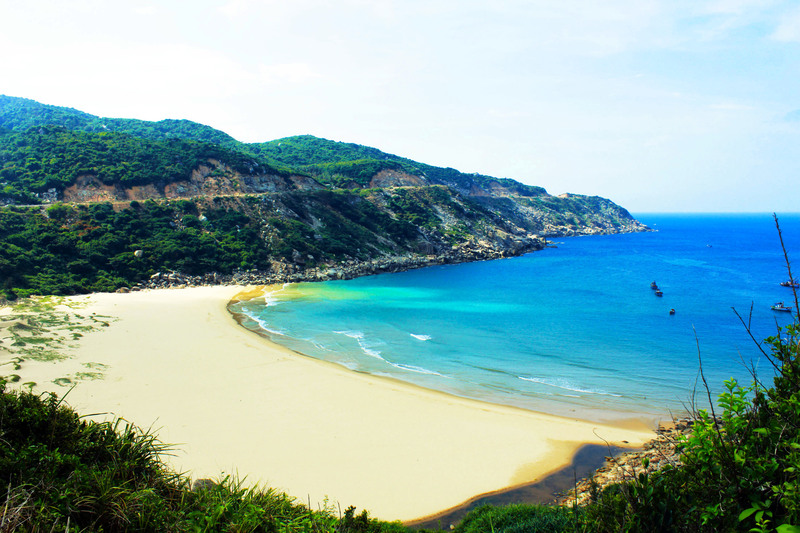 Unlike in Quy Nhon, attractions in Phu Yen are more sparsely distributed. Most famous attractions are located from half-an-hour to one-hour drive to the north and south from the city center. Such rides for the whole day with the motorbike can be exhausting. Another option is to rent a car in Phu Yen and drive by yourself. This option will prevent you from getting fatigued under the searing heat in this central province. Car renting is suitable for groups of 3 travellers and more. Contact 0933514155 / 0919196192 for renting a car in Phu Yen. A 5-seat car costs around 700 000 VND per day. Again I’m not sure if they speak English so you might ask your hotel reception to help. The nicest hotels in Phu Yen are Cendeluxe (5 stars), Vietstar (5 stars) and Kaya (4 stars). If you’re looking for high-end accommodation in Phu Yen such as these two, do NOT stay at Sai Gon Phu Yen Hotel. Despite its ranking at 4 stars, this hotel is old, untidy and lacking of staff. The service was okay though. In addition, there are other smaller hotels in Phu Yen as well, such as Hung Vuong and Long Beach (3 stars), Thanh Long (2 stars). Before booking a hotel, the most important thing is to check its location: whether it’s close to the beach, convenient to travel to most attractions in Phu Yen, close to restaurants and so on. 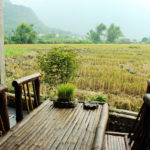 Check out a full list of accommodations in Phu Yen here! Seafood: 74B Hung Vuong St.
Vietnamese Pancake with Seafood topping: 20 Le Thanh Ton St. Goat Hotpot: 238 Le Lot St.
Smoothie and sweet porridge: In front of the address 199 Tran Hung Dao St.
Coconut smoothie: Totally a must-try! You can order this tasty smoothie in almost all coffee shops in Tuy Hoa. 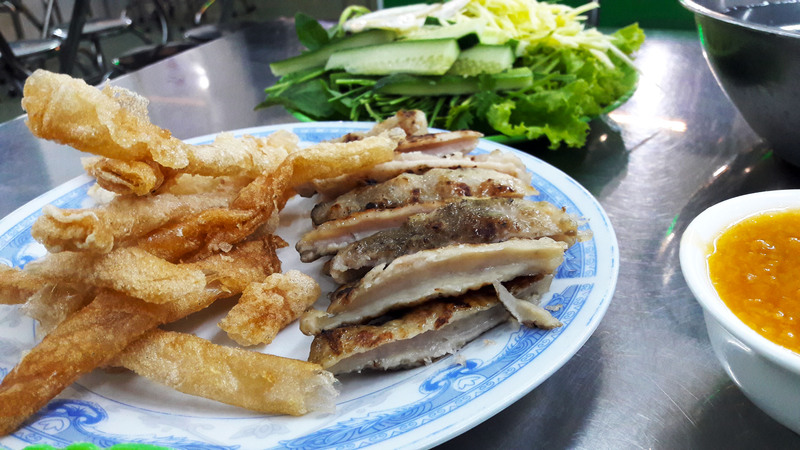 And did I mention that prices for eating out in Phu Yen are mostly up to 50% cheaper than in Hanoi and Ho Chi Minh City? As previously mentioned, some attractions in Phu Yen are located in the north and others in the south of Tuy Hoa’s Center, where your hotel is most likely situated. Therefore, it is advisable to spend one whole day visiting all attractions in the north and the other day for those in the south (or vice versa). Day 1: Arrive in Phu Yen by airplane from Hanoi and HCMC (both in the afternoon). Walk around Tuy Hoa city center. Enjoy seafood and other local cuisines. 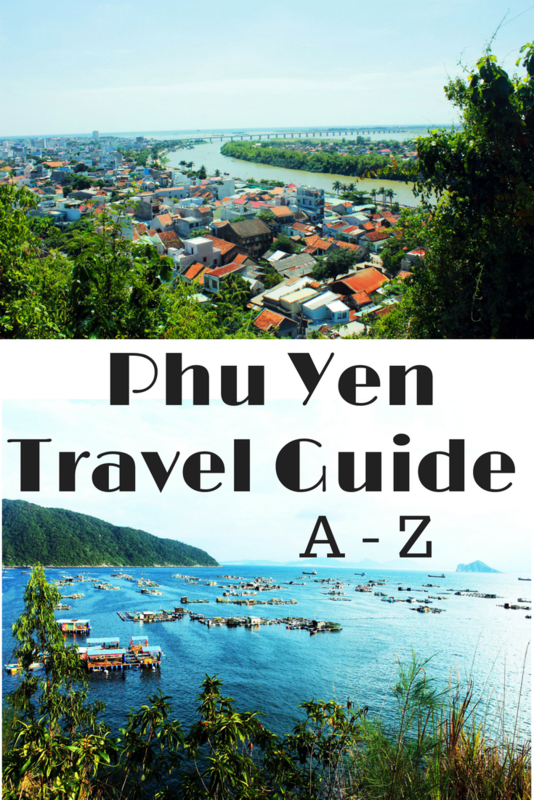 I hope this Phu Yen travel guide will prove helpful for all of you when planning to travel to Phu Yen. If you have any other question about travel to Phu Yen, attractions in Phu Yen, accommodation in Phu Yen and so on, don’t hesitate to contact me or comment below! 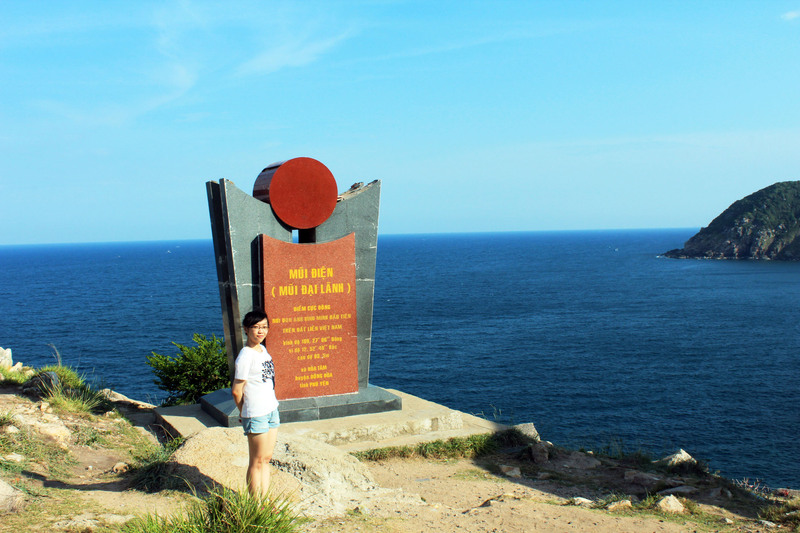 Have you been to Phu Yen already? Feel free to share your experiences here as well! 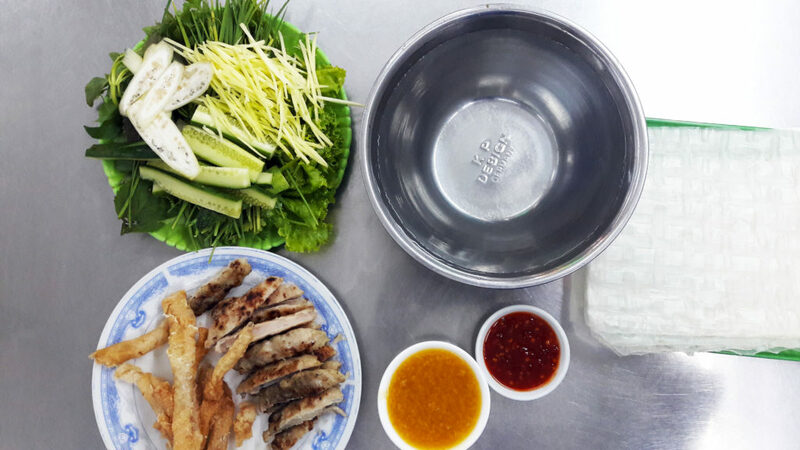 I really want to travel to Vietnam this year (notably for the food, yum, yum). This is a wonderful, comprehensive guide. Some of those beaches look so lovely… and empty, which is quite nice too! Oh wow, what a gorgeous place! The view from Mui Dien and Bai Mon Beach are stunning – I love the fact that neither of these places are crowded and overly touristy. It sounds so much better than some places in Thailand! This is such a beautiful place! Too bad there weren’t any yellow flowers growing though lol. Whoa, I didn’t even know that a place called Phu Yen existed. 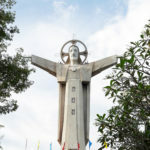 There sure is much more to see in Vietnam than the regular run off the mill destinations. A friend of mine recently returned from Vietnam and I was mesmerized by her stories and pictures. If I’d seen these pictures without reading your post I never would have guessed they were in Vietnam!! Not exactly the kind of scenes that spring to mind when talking about the country, that’s for sure! It’s a shame you didn’t make it to O Loan Lagoon for dusk or dawn, but your other pics look like they more than make up for it. Great post, thanks for sharing! Oh my gosh – how have I never heard of this place?! Finally, a place in Vietnam that doesn’t seem like it’s completely overrun with tourists. I love it! I’m currently in VN now but unfortunately only have enough time for the North. Will be coming back and checking our Phu Yen for sure! I’ve never heard of Phu Yen! I haven’t been to Vietnam yet but your photos look amazing. I definitely will look into this place when I visit in the future. I would love to eat authentic Vietnamese food given I’m half Vietnamese! Beautiful! Having a great and peaceful time at the sea and afterwards good food. What more could one want? We actually plan to visit Vietnam as one of our next destinations. Your post helped us to rethink some things… thank you! Wow! I think it’s great that you have added all the ways to get there and even the websites to book bus tickets and where to rent motorbikes! Very informative and you share a lot of tips. I am still impressed by these long bus and train rides you have to take in Vietnam. For some reason I thought it’s fast going from one end to another. I would love to see Xep Beach and climb that hill in the afternoon to avoid the burning sun and the Nhan tower looks interesting too! Thanks for putting this together! i love the quote on your blog, i do believe travel makes you modest. 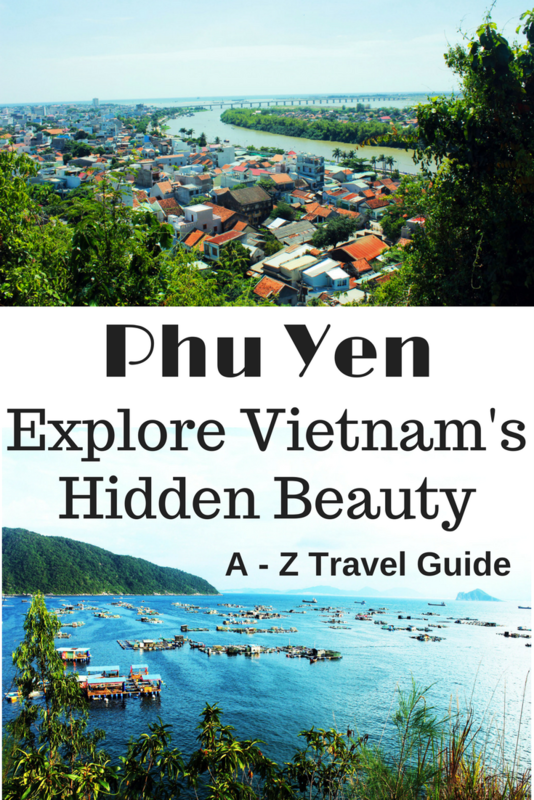 You are offering here a complete guide for Phu Yen and i find it amazing. Keep up the good job ! Wow Nhan Tower and Bai Mon Beach look stunning! I really should put Vietnam on my list of places to go to soon. Nice guide. loved the snap of sunset on the background of those boats! The 12th C tower looks impressive too! I love visiting heritage spots and historical architecture! So that’s interesting for me as well! Visiting Vietnam in a couple of months and I think I’ll definitely have to put this on my list. Looks beautiful, thanks for all of the great info! Vietnam is such a diverse country from one town to another! Would love to take a couple months and backpack through SE Asia! Vietnam was marked for this year and surely this comprehensive guide will go into that list. I loved those dawn pictures. 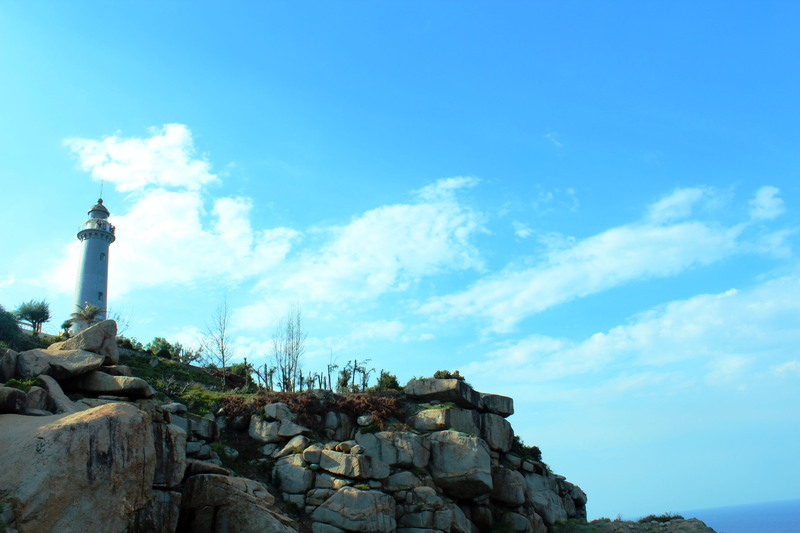 Thanks for sharing and detailing us these best guide to visit Phu Yen. This is a perfect place for retreat, relaxation and maybe find your love. Woow.. I only knew of the rice terraces in Vietnam. Never knew there are such amazing destinations to explore. I love the pictures – they are all so vibrant. Especially the feature image and the image with the fishing boats. 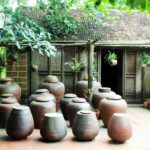 I’m planning to visit Vietnam this year so your guide will definitely be on my bookmarks! It looks like a very beautiful place and I love there’s a lot of different things to do and places to visit around. Can’t wait to try all that delicious and fresh seafood!! Vietnam is such a beautiful paradise and hopefully we visit soon. 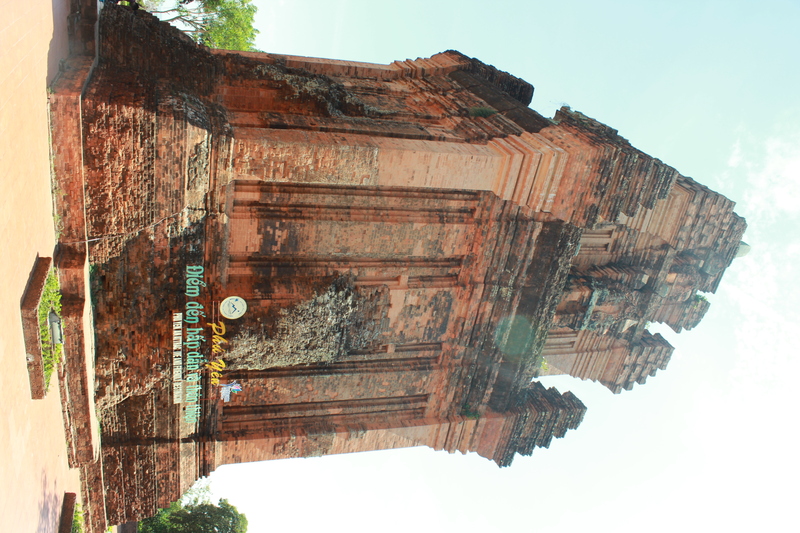 Nhan Tower is amazing – would like to see it in person! Thanks for the great recommendations. Excellent guide! I love off-the-bitten-path places. 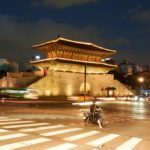 I was eyeing Vietnam for a while by now: it looks like a worthy stop for our slow travel lifestyle. However, someone alerted me about possible internet connection problem there: slow internet+heavy censorship. 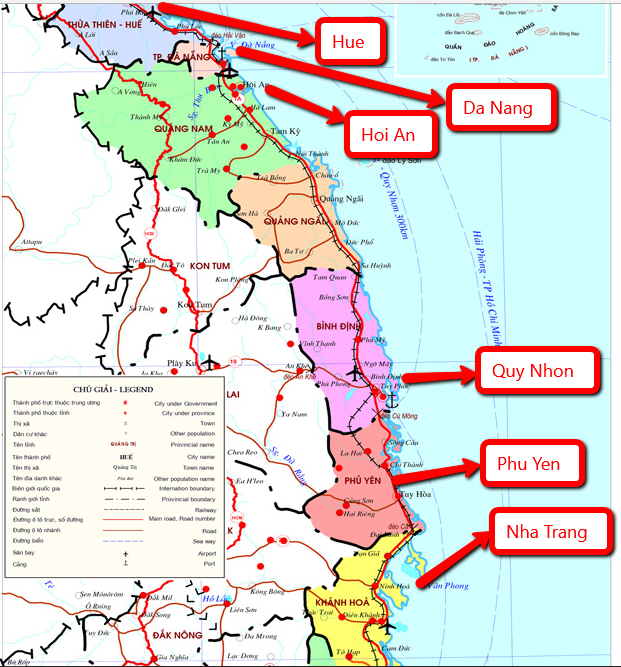 If we can sort this out, Phu Yen would be my choice for a first mini vacation there. The internet’s actually not that bad. The internet speed at our hotel in Phu Yen was actually quite good. Facebook sometimes gets blocked in Vietnam but if you access FB from your phone then it’s fine 🙂 Also Youtube, Twitter and other social media pages are not blocked. What a comprehensive guide! Vietnam is on my bucket list of exploring places in Asia. Hope to visit there someday in my life! 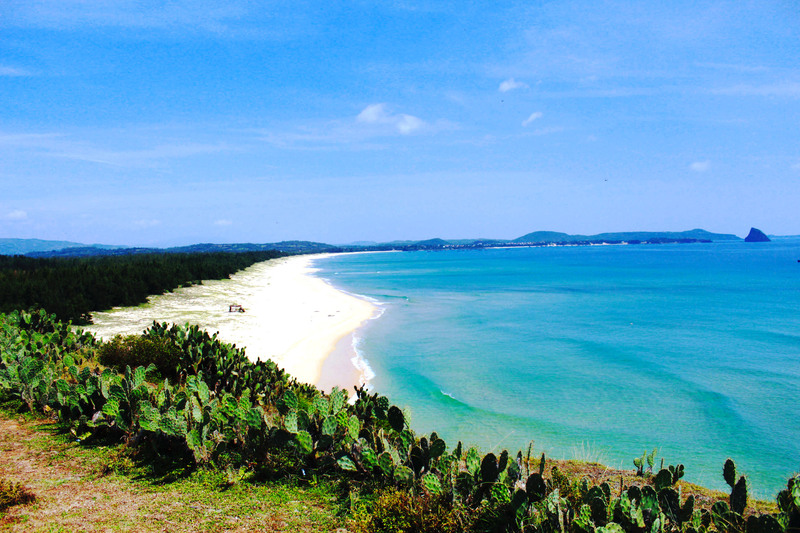 Phu Yen’s beaches are truly stunning! I can’t believe it isn’t more popular with tourists. I would love to try the coconut smoothie. Too bad you didn’t see any yellow flowers, though! 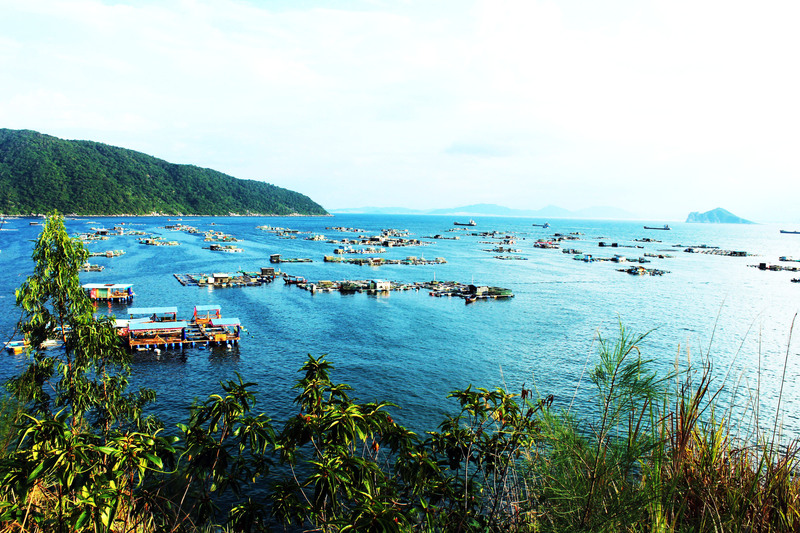 Phu Yen looks very beautiful. I have been to Vietnam before but didn’t got a chance to visit. I will returned next year though and I am looking for non touristy remote places to visit, I will make sure to include Phu Yen on my list. My friend who is from Vietnam is dying to take me there this year. At first I didn’t think there was as much to see and do but the more I research the more I find out there is so much! I guess I never thought of it as a place to go to the beach but they are just beautiful!! I love the sound of that Lagoon and you are right that I need to visit it at Sunset. It looks magical in your pictures. Phu yeh is like am unexplored gem. I have only seen the name of this place when I went to Da Nang last Tet and I had a glimpse of the place (through photos though) coz one of my former colleagues is from that place. I am now excited to see it soon! Thanks a lot! I have only seen the name of this place when I went to Da Nang last Tet and I was able to see some areas of Phu Yen (through photos though) coz one of my former colleagues is from there. I am now excited to see it soon! Thanks a lot! 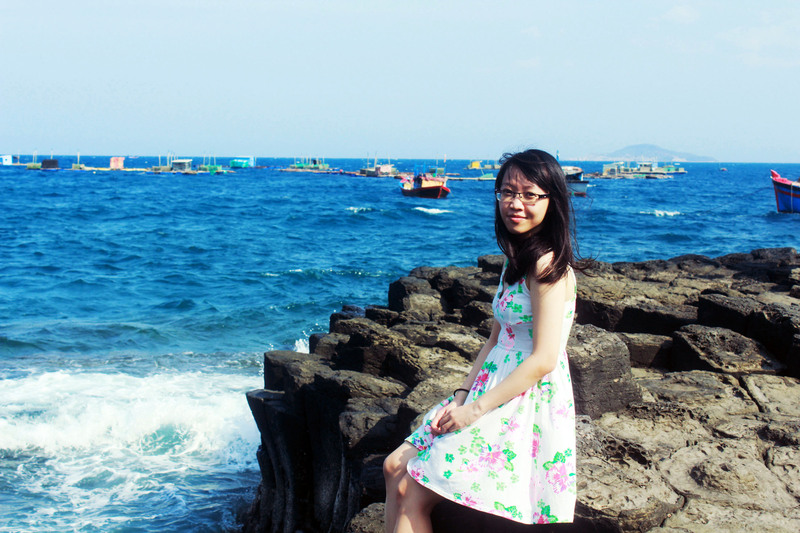 I don’t know what is selling me on Phu Yen more…the pristine beaches or the yummy seafood! You honestly covered everything so I’m definitely pinning this for later! I love your pictures! Vietnam is still on my bucket list but when I finally make it there I am definitely going to Phu Yen! I loved how detailed your guide is. Bai Mon beach looks amazing, and so are the instructions that you have provided to access it. I am definitely pinning this. Would it be totally crazy to go in October? then I have to look elsewhere. No it wouldn’t 🙂 Lots of people still go there in October. However, since October – December is the time when storms can suddenly arrive and ravage the Central of Vietnam, you should keep yourself abreast with all news about the weather there before you go. Best of luck with all your trips!